Something from my bar whenever I feel like it episode CXsteemCreated with Sketch. 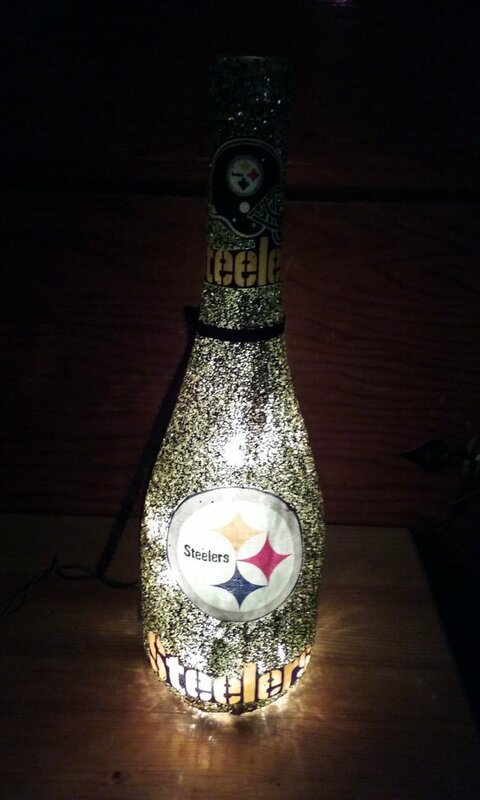 Finally the long promised Steeler Bottle Light. This completes my set of 3 bottle lights: Jeff Gordon, Buckeyes, and Steelers. 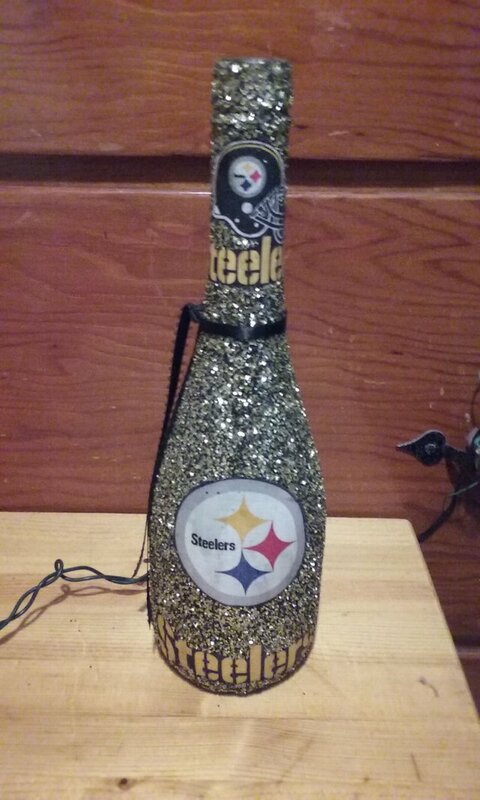 Not sure what kind of bottle it was but now it's covered in some kind of black/gold/silver glitter material with the Steelers emblem on it. 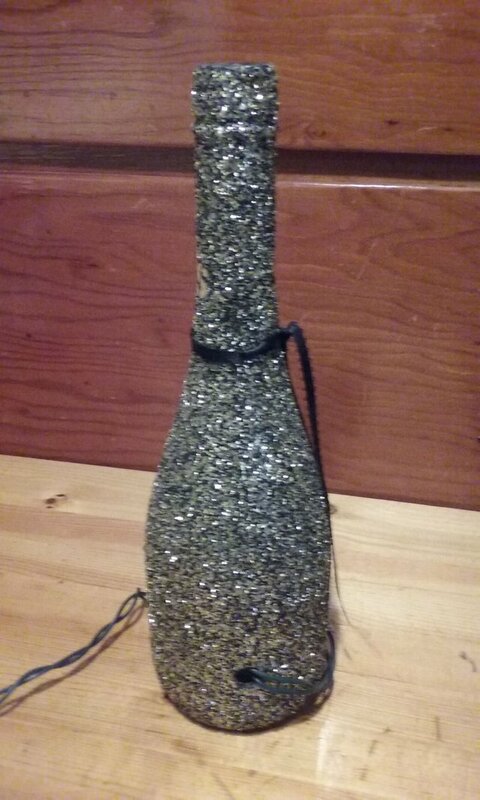 Inside is a set of white string lights.